Would you like to do business with a building maintenance contractor that puts YOU first and works hard to meet all of YOUR building service needs? 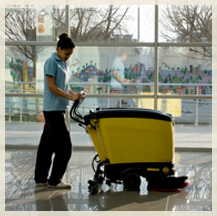 Spotless Cleaning Services INC is dedicated to that kind of service, and has been a leader in the building services industry in Lancaster County. The following are just a few of the reasons you can have peace of mind with Spotless Cleaning Service INC.
You can be assured of consistent, high quality work day-after-day, week-after-week, month-after-month, and all year long. And the cleaning service will be backed by satisfaction guarantee. Your building will be maintained by a well-established and stable company with trained and supervised cleaning technicians, who are screened for honesty, integrity, and dependability. Your building will be regularly inspected, and you will be regularly contacted by our supervisors to make sure you are completely satisfied with the service. Undoubtedly you want to select a building service contractor that is diligent in preserving you assets - your building, carpets, resilient floor covering, wall surfaces, fixtures, and furniture. You have good reason for selecting Spotless Cleaning Service INC After each scheduled visit, your building will be left in a clean, fresh, and well-preserved condition. At Spotless Cleaning Services we provide a full-service cleaning experience that you will not regret. Our cleaning service includes a pre-cleaning inspection that will allow you to point out; problem areas, secure breakables, note furniture, and we can establish an exact cost of cleaning. We believe that after experiencing our value added service for yourself, you will clearly see how affordable our quality work is. You may start to wonder what you paid for with other cleaning services when comparing it to our professionalism and thoroughness. Contact us today to set up a no obligation 15 minute informational interview. We hope to hear from you soon. 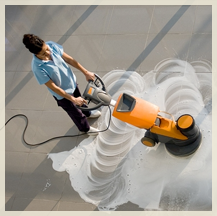 “Our experience with your company Spotless Cleaning Services has been very positive. Your staff does an excellent job keeping our offices in order, their communication with us is great and everyone has been personable and anxious to please. All questions and concerns are addressed immediately and satisfactorily. Your rate are competitive. I enjoy working with you and have no hesitation to highly recommend your company. “I’m writing to express our compliments for the service we receive from your company Spotless Cleaning Services . The quality of your work is exceptional and you provide our office with a very professional look for our clients. These first impressions from our clients are a testament to our quality of work for them, so we are pleased to tell them at Spotless Cleaning services does our cleaning. Copyright © 2012 Spotless Cleaning.